STORServer support is the single point of contact for all components of the solution. 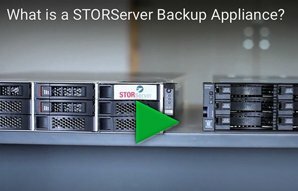 STORServer customers have one number to call for any issues that arise with their backup appliances or software. No need for multiple calls to multiple vendors. Customers work directly with knowledgeable consultants who are familiar with the environment and will diagnose and resolve issues quickly. The menu of support services offered by STORServer is outlined below. Each option includes a choice of 8×5 or 24×7 support. STORServer Solution Support also has a Platinum support option which provides remote management services including full dial-up operation of the appliance environment, running schedules, event log checking and trending. Upgrade to four hour on-site available. * At STORServer, Inc. discretion.